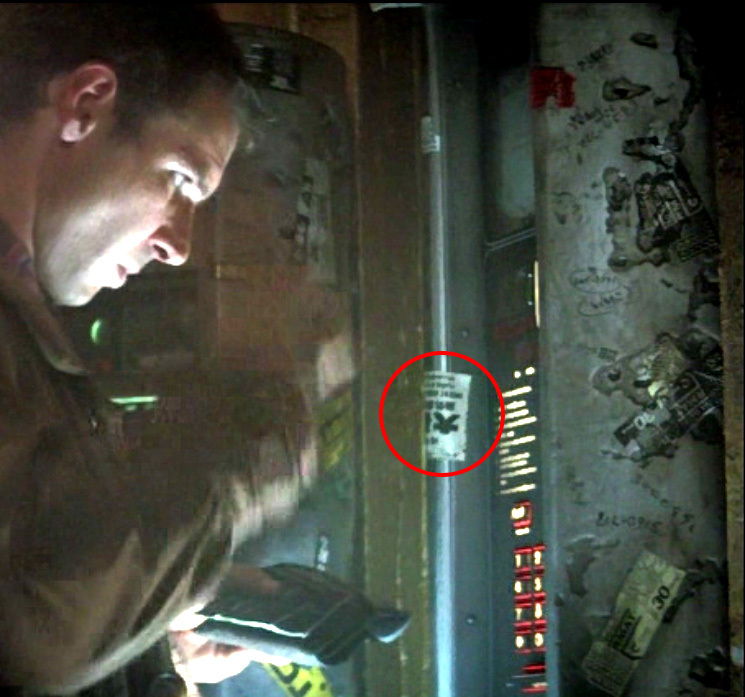 We all remember the scene where Deckard drunk dials Rachel from The Snake Pit’s payphone, right? Most of the Vid-Phons are covered with handwritten graffiti and stickers. Almost all of the stickers can be accounted for by the art shown in the Blue Dolphin sketchbook. Except for this one circled above. 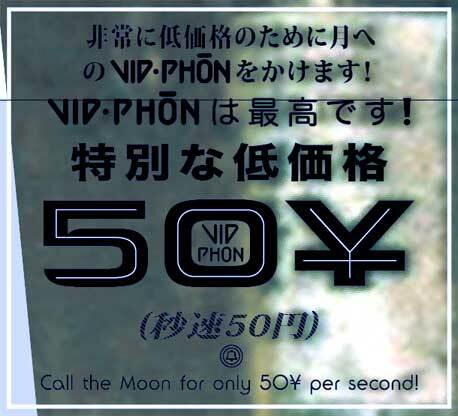 It appears to be a few lines of Japanese text, and then a large line of text ending in a Yen sign (¥), and one last short line. Today, I set out to create, as best I could, what this ad might have looked like. I am relying on one chief assumption; that the sticker is very short, and what we can see amounts to nearly half of it. This yields an almost square sticker. Additionally, I am assuming that the sticker is right-reading: that it wasn’t accidentally put on upside-down or printed mirror-reversed. It’s not a perfect match, but some of that may be due to the difficulty of trying to get coherent sentences that are exactly X characters long. It’s interesting to note that almost all fonts, even the heaviest black, block fonts have two horizontal bars in their Yen signs. My Yen sign is made from a capital Y and a Dash, which is plausible if the original creator was using Letraset or drawing the letters by hand. What I believe is most likely is that this was simply clipped out of a Japanese newspaper or magazine and slapped on there; which also explains why it never shows up anywhere else. 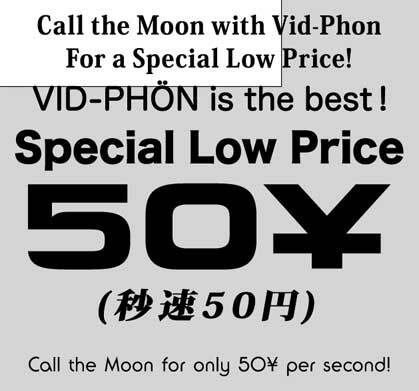 In case you are wondering, 50 Yen per second is about $24 per minute at current exchange rates, which seemed fitting for the hyper-inflationary future of BR. And here is the replica. Scale / size is the one thing I could not figure out, so that is left up to you.